Zadiks operation Quick Reference: (zad-icks) Radical excision of the nail bed. Advanced Reference: Radical excision involves the permanent ablation of the nail and nail bed. Other procedures on the big toe include wedge resection. Zantac Quick Reference: H2 receptor-blocking agent. Advanced Reference: Alternative name is ranitidine. Inhibits gastric secretions. Used in premedication, given approximately 1 hour before induction of anaesthesia. Zinacef Quick Reference: (sin-a-sef) A proprietary broad-spectrum antibiotic. Advanced Reference: A preparation of cefuroxime and produced in the form of a powder for reconstitution. Zinc oxide Quick Reference: Mild astringent used to treat skin rashes, etc. Advanced Reference: Also used to impregnate bandages and sticking tape/plaster (zinc oxide tape). Zip Quick Reference: A surgical zip used to close the abdominal cavity. Advanced Reference: During abdominal surgery where the two edges of the surgical incision cannot be approximated due to enlargement of abdominal contents a surgical zip can be used. The outer edges of the zip can be cut to the required shape, they are then stapled or sutured in place. A surgical zip is a temporary measure until abdominal swelling is reduced and the skin edges can be brought together. Zoster Quick Reference: Herpes zoster. 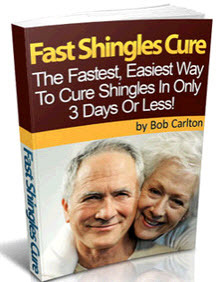 Shingles. Advanced Reference: Virus responsible for this disease, the same as that which causes chickenpox. After initial infection, lays dormant in the nerve cells and later in life can reappear and produces herpes zoster. Z-plasty Quick Reference: Term used to describe a type of incision. Advanced Reference: It is in reality a procedure used for removing scar tissue or repairing deformity. Zygoma Quick Reference: (zi-goma) Or zygomatic bone, Facial bone which gives shape to the cheek. Advanced Reference: The zygomatic arch is an extension of the skull that connects to the zygoma giving rise to the shape of the cheek. Often injured during trauma and requires surgical elevation. Zygote Quick Reference: (si-goat) A single fertilized cell. Advanced Reference: The fertilized ovum. Formed from the fusion of male and female germ cells.